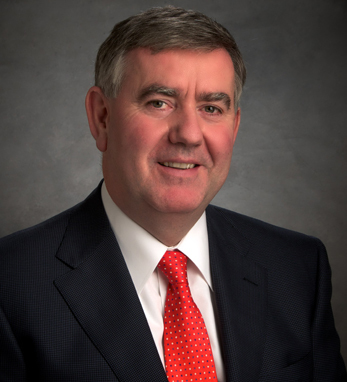 Irial Finan is executive vice president, The Coca-Cola Company and president of Bottling Investments. He is responsible for managing a multi-billion-dollar internal bottling business, Bottling Investments Group (BIG), which has operations in 5 continents. Irial has 29 years experience in the Coca-Cola system. From 2001 to 2003, he served as CEO of Coca-Cola HBC. Irial joined the Coca-Cola Company in 2004 as president, Bottling Investments and Supply Chain, and was named executive vice president of the company later that year. Irial serves on the boards of directors of Coca-Cola FEMSA, Coca-Cola HBC, and the Supervisory Board of CCE AG. He is a non-executive director for Co-operation Ireland and NUI Galway Foundation. Irial is also a past recipient of the Leslie C. Quick Jr. Leadership Award, and is an Irish America Stars of the South honoree. He holds a BC from National University of Ireland in Galway and is an associate (later fellow) of the Institute of Chartered Management Accountants. Most recently he received an honorary Doctor of Laws Degree from NUI in Galway Ireland. Irial and his wife, Deirdre, have two daughters, Ciara and Roisin.